In April 2017, Pioneer Family Pools officially launched their company-wide “Spas for a Cause”, #PioneerPinkHotTub campaign in an effort to raise awareness and funding for the Canadian Cancer Society. Pioneer showcased a bright pink Fantasy Spas hot tub at events across Ontario, including a partnership with Canadian NASCAR driver, Gary Klutt. 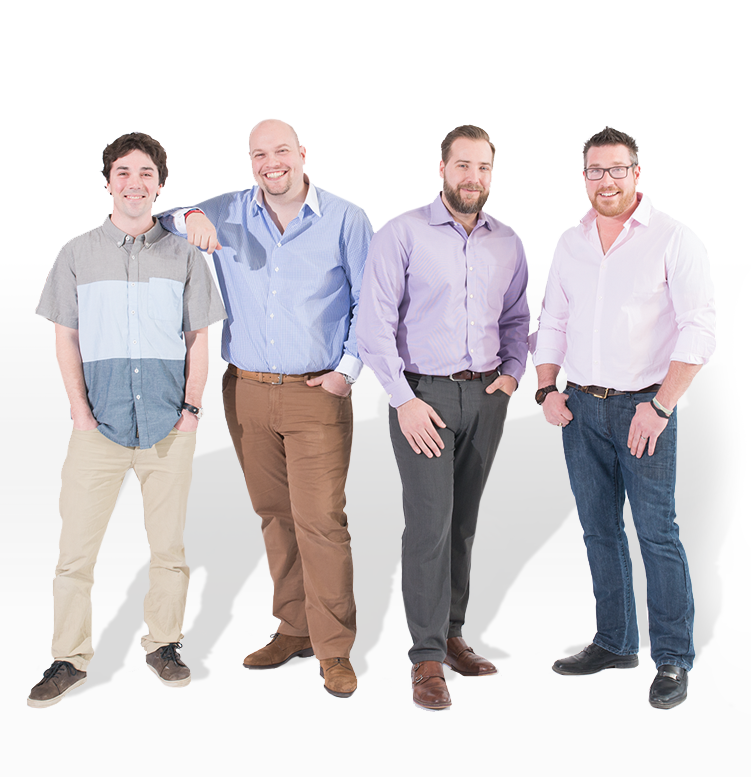 The 7-month campaign wraps up November 10th with the drawing of the lucky winner and the presentation of a cheque to the Canadian Cancer Society alongside Gary and his team, Legendary Motorcar. Thank you to everyone who participated. All proceeds will go directly to the Canadian Cancer Society. Try & Catch Up To Our Pink Tub! 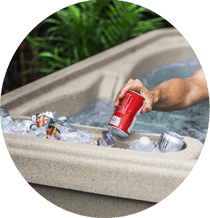 This 4 person hot tub allows you to entertain friends and family or simply spread out on your own to revitalize and refresh your tired, sore muscles. 17 hydrotherapy jets work to relieve common points of tension including neck, back, and shoulders. To take your entertaining to the next level, turn on the built-in cascading waterfall that pairs perfectly with the multi-colour LED light. The Drift Fantasy Spa plugs into any standard 110v outlet. Simply add water, plug in your hot tub & enjoy! No additional wiring necessary! 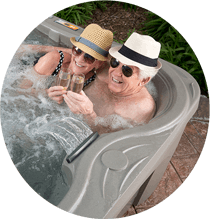 Fantasy Spas are rotationally molded, a manufacturing process which uses less material and labor than traditional acrylic hot tubs. Renting or thinking of moving? No worries! 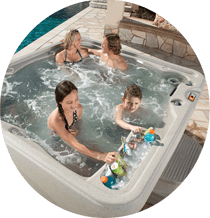 Our lightweight spas can be taken with you and remain a part of your family wherever you go! Interested in buying a Pink Drift?